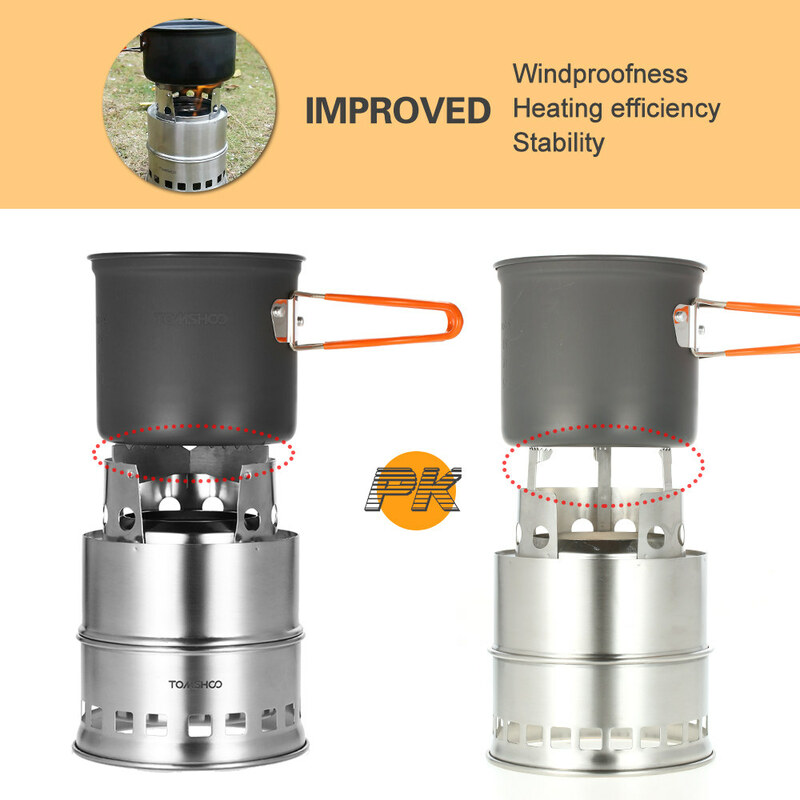 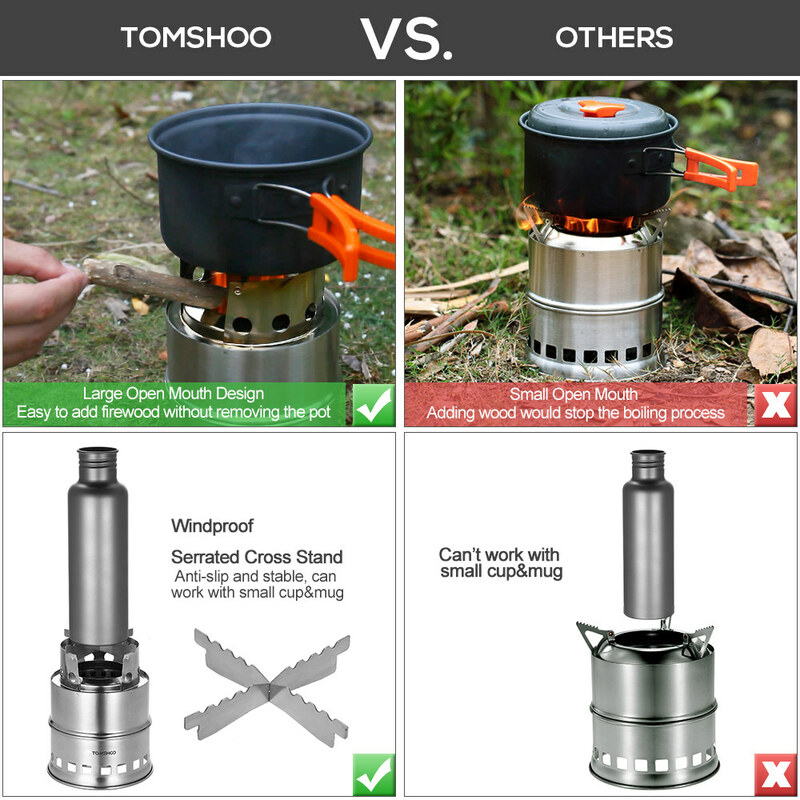 TOMSHOO Folding Camping Wood Stove is a must-have for anyone serious about outdoor activities. 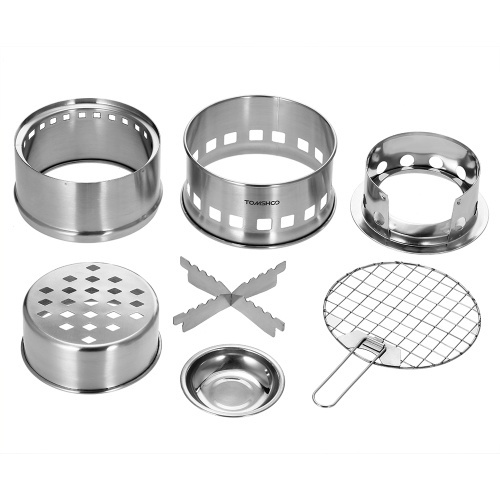 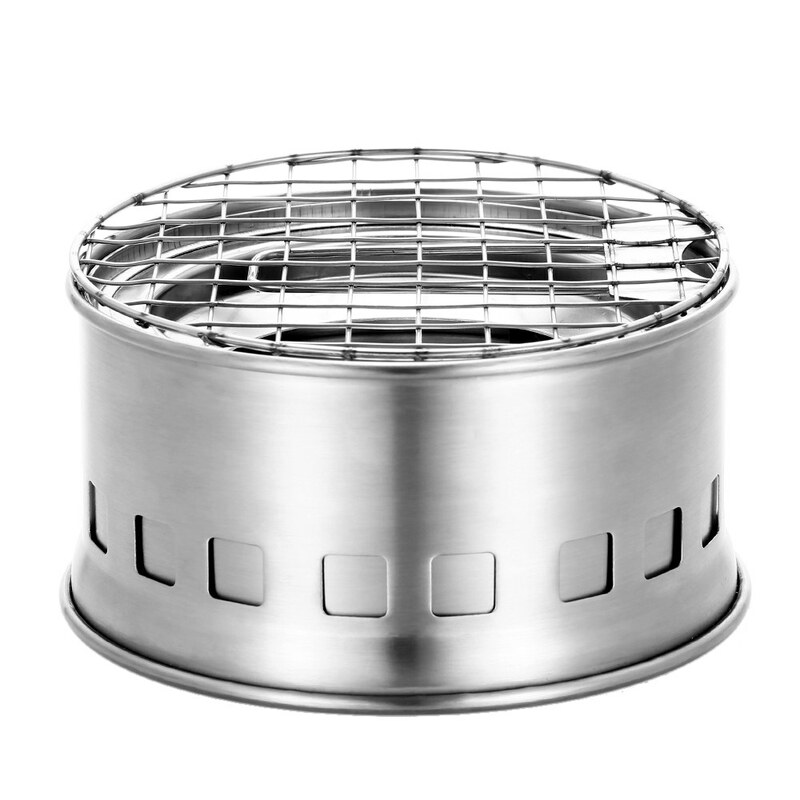 The sturdy stainless steel construction with anti-slip cross stand ensures a stable and safe support for the cookware. The double-wall structure and air vents improves air circulation and burning efficiency. It is foldable and lightweight, very convenient to carry wherever you go. 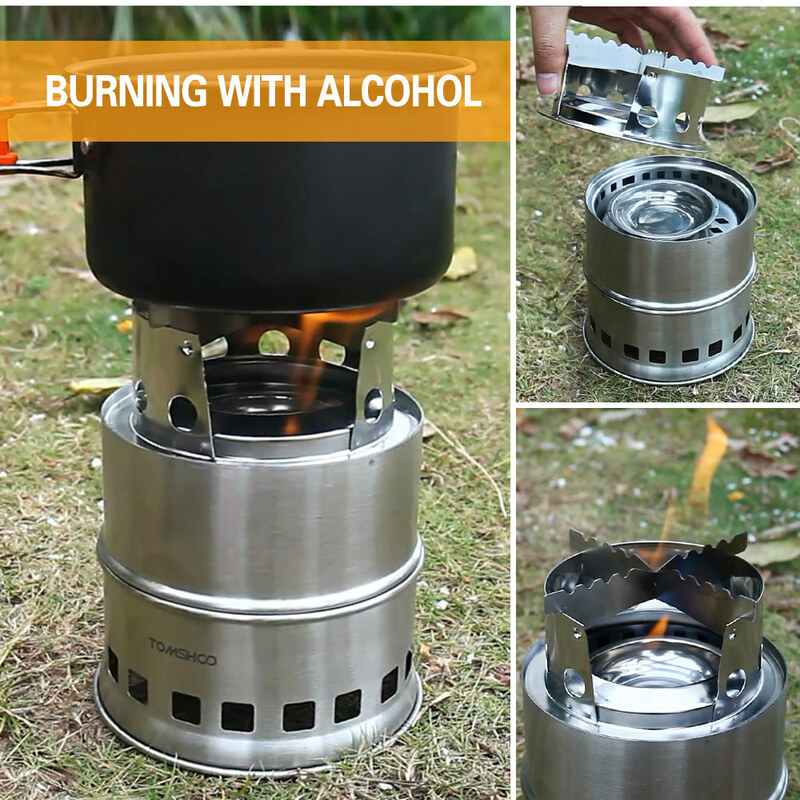 With this compact stove in your backpack, you'll never worry about fuels used out, just cook a meal with the twigs, leaves and branches you collect from the nature, which will not cause chemical emissions. 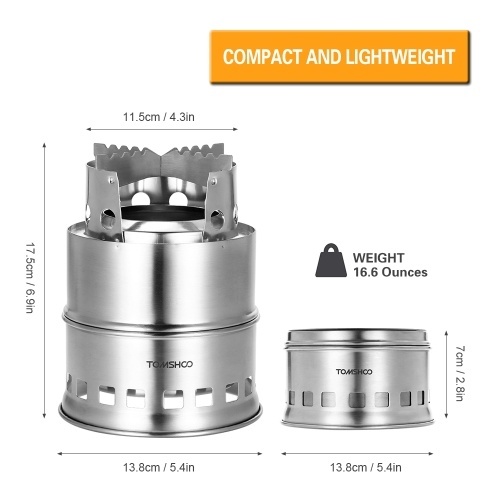 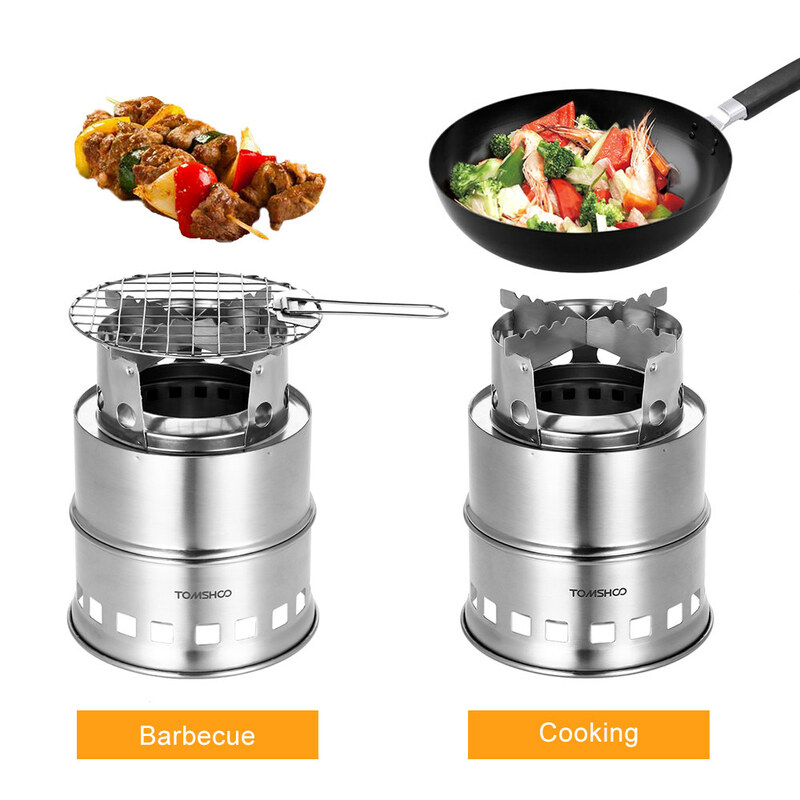 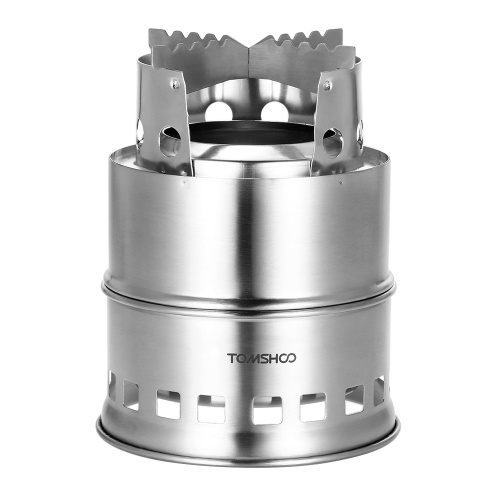 Start an environmentally-friendly trip from TOMSHOO Camping Stove! 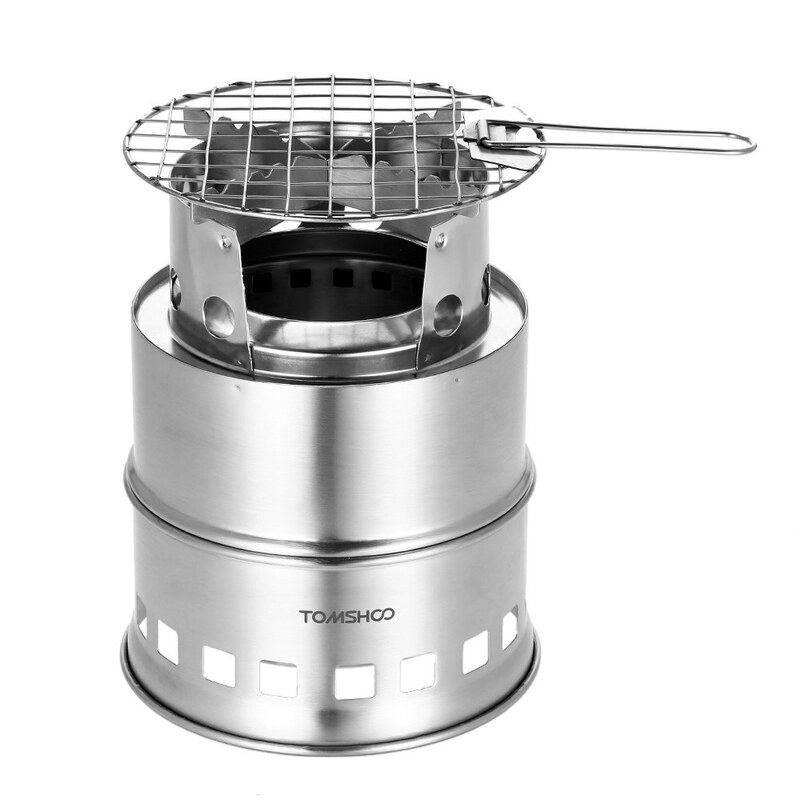 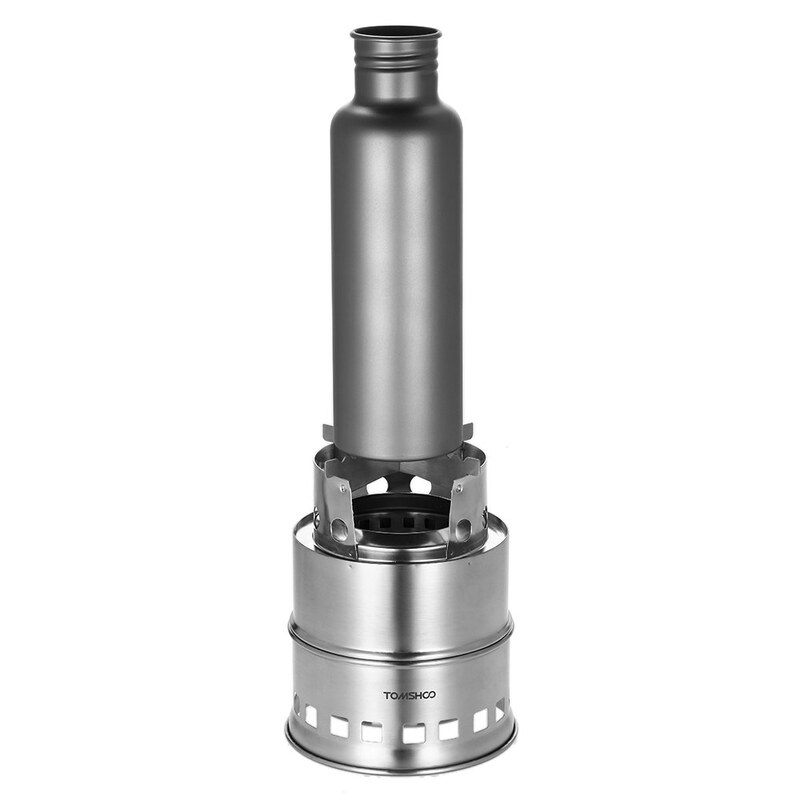 STURDY & STABLE CONSTRUCTION: Made of strong stainless steel, this camping stove is built to last long even under heavy weight or high heat. 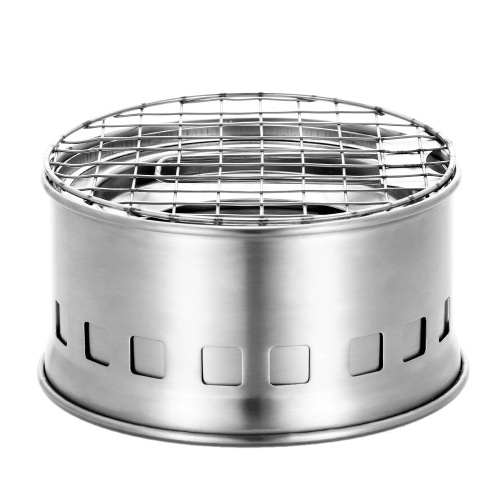 The windproof serrated cross stand offers a stable platform for your cookware and increases heat contact. 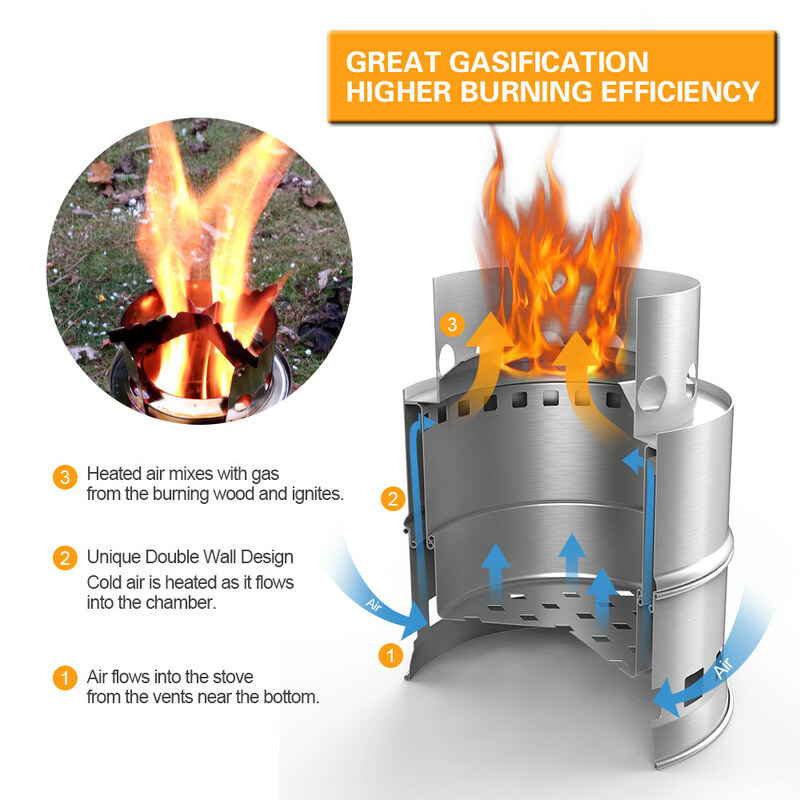 EFFICIENT BURNING, LESS SMOKE: The wood stove is designed with a simple yet scientific structure: Wide opening makes it easy to add wood; Double-wall structure creates a clean gasification and secondary combustion; Air vents near the bottom improve air circulation to help the fuel burn more completely with less smoke. UNLIMITED FREE FUELS: Use the twigs, leaves, branches, wood as fuel to cook a meal on your hike, no more money spent on gas canisters, no chemical emissions and carbon footprint. 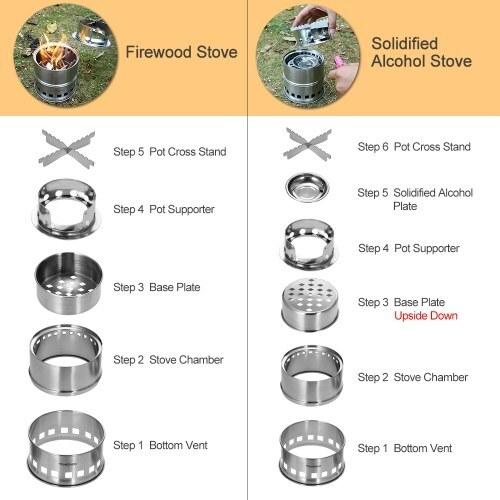 The stove includes a tray to hold solid alcohol fuel. 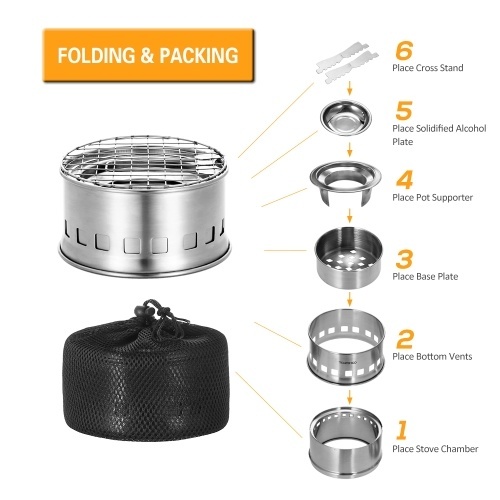 FOLDABLE & LIGHTWEIGHT: Easily collapsible into a compact size (5.4" x 2.8") and packed in the mesh carrying sack for convenient storage. At only 1 pound, this portable wood stove is lightweight and minimizes the burden on your backpack. 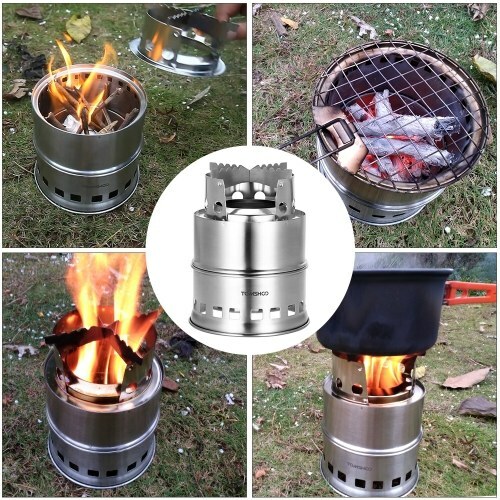 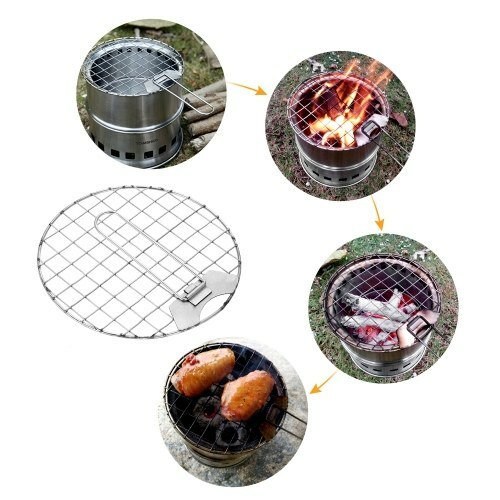 VERSATILE APPLICATION: This camping stove comes with a grill which allows you to start barbecue wherever you set up your camp. It is suitable for camping, hiking, backpacking, picnic, BBQ, outdoor survival and adventures. 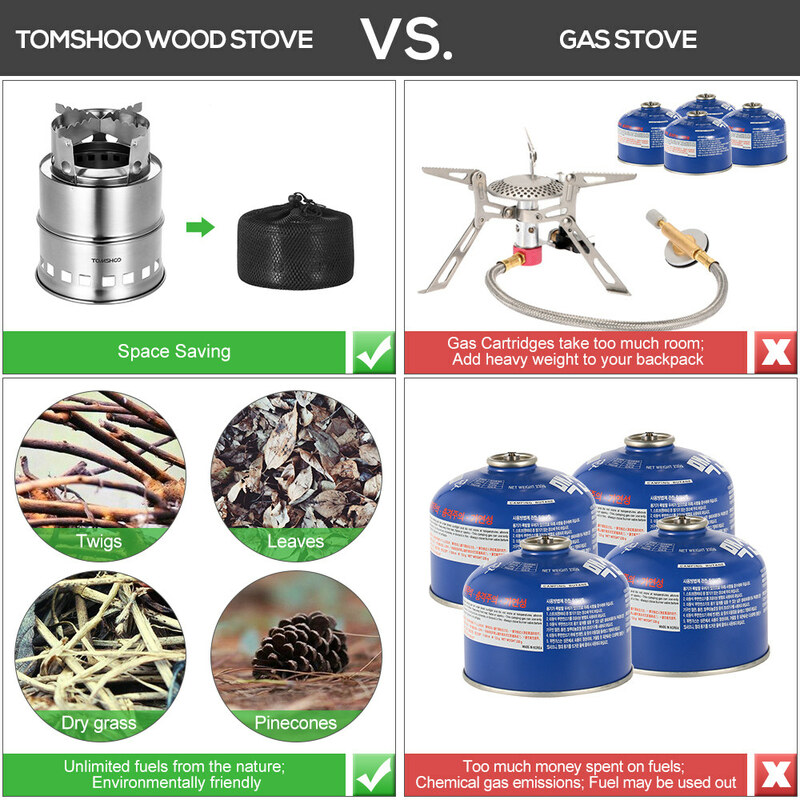 Note: Wood stove only, the pot and other items in the picture are not included.